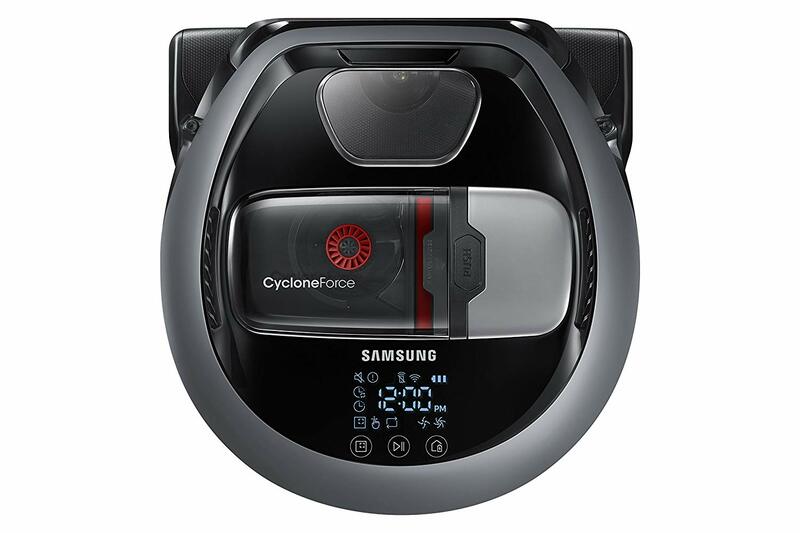 Save time and effort by letting the Samsung POWERbot R7040 robotic vacuum handle the vacuuming for you. The POWERbot delivers 20x more powerful cleaning on all floor types when compared to a conventional robot vacuum with a circular design*. Nothing can hide from the Edge Clean Master’s innovative rubber blade as it extends out to clean hard to reach areas like corners and along the edges of the wall. Powerful suction delivers optimal cleaning results. Creates optimal cleaning path and avoids obstacles. Coverage map shows on app where POWERbot has cleaned. Remotely control your robot vacuum with your smartphone, or voice control with Amazon Alexa. Delivers 20x more powerful cleaning on all floor types when compared to a conventional robot vacuum with a circular design*. *Tested internally on Samsung POWERbot VR7000 and Samsung conventional VR10F71UCAC. Get consistent power with less clogging. Strong centrifugal forces separate dirt and debris into an outer chamber to maintain long lasting suction power. This wide motorized brush allows the POWERbot to clean larger areas with less movement. Its strong rotating motion helps loosen trapped dirt particles, while suction across the entire brush provides pick-up from end to end. Program your own cleaning time. Simply set a time when you’re away or at home for automatic cleaning.